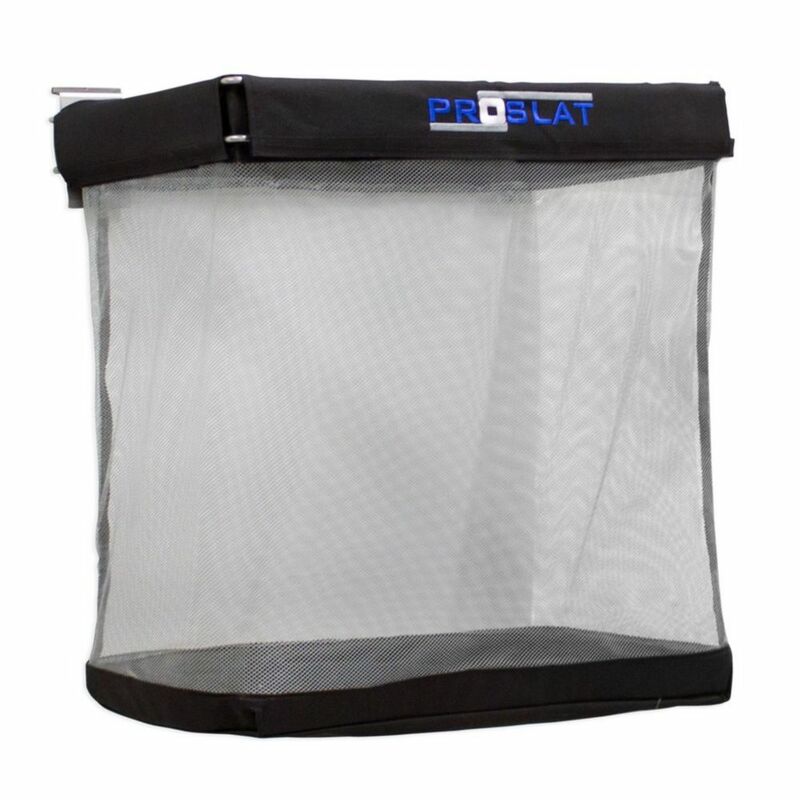 The Proslat Big Mouth Ball Basket is great for storing all of your sports accessories with easy accessibility such as balls, helmets, gloves and more. A Proslat wall solution begins with Proslat's patented PVC wall panels designed for your garage. Included in this kit: 10-inch x 8-inch panels (assembled equals 4-inch high by 8-inch wide) plus all necessary trims and mounting screws. Made in Canada from 90% recycled PVC, Proslat is one of the greenest storage solutions on the market. It is also one of the most versatile, as individual panels may be installed as a track, in a section or over an entire wall. Installation is simple and the unique hidden screw design gives a professional finish. Built to last, Proslat wall panels are up to 25 times more impact resistant than drywall and they hold up to 75 lb. (34 kg) per linear ft. Panels are not affected by mould, mildew or water so they can be used in damp locations where drywall and wood might absorb the humidity. Please note that hooks shown in pictures are for visual purposes only and sold separately. Wall Storage Solutions - Big Mouth Basket The Proslat Big Mouth Ball Basket is great for storing all of your sports accessories with easy accessibility such as balls, helmets, gloves and more.